Located in the Historic District of Hot Springs, Arkansas, the Hamp Williams Building is an impressive example of 1920 Italianate Renaissance Revival. It is constructed of Arkansas stone and faced with hand-placed split-faced Arkansas granite. 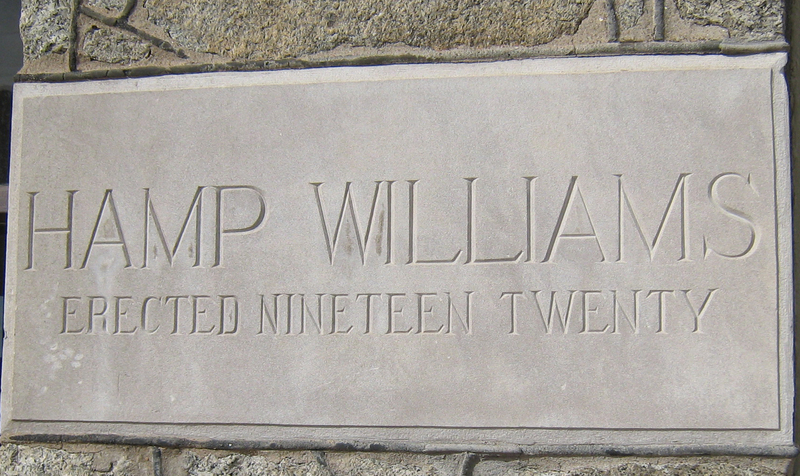 Mr. Hamp Williams was a prominent Hot Springs business leader. As President of the National Hardware Association he was highly regarded throughout the state and sought after for national speaking engagements. He was a man of vision who founded many philanthropic and civic organizations. He was a tenacious man who lost several businesses due to fires in the early part of the 1900s but he never faltered in his support for the City of Hot Springs and its citizens. The Hamp Williams Building was built in 1920 on the prestigious corner of Ouachita Avenue and Hawthorne Street. Occupying a full block 500-510 Ouachita Avenue and just shy of 50,000 square feet the building sits across from the gracious Garland County Courthouse which was built in 1905 and later placed on the National Register of Historic Places. The two buildings anchor an entrance to the Quapaw-Prospect neighborhood of elegant period homes and the nature trails of West Mountain, Hot Springs National Park.